Quantified Men: Tinder, Lulu And The Fallacy Of Hot Dating Apps : All Tech Considered They have millions of users, and help facilitate millions of matches per day. But while these apps open up a world of romantic possibilities, they might also put up even more barriers to love. With the Tinder dating app, you swipe right if you want to meet someone, and swipe left if you don't. Let's stipulate, for the purposes of this post, that you are looking for love. Thanks to our ever-connected devices, you can skip the bars or gyms or extracurricular activities to find a hookup. And even if you do meet someone the old-fashioned, analog way, romance and social media are so entwined that you can't escape getting ranked somewhere on an app. 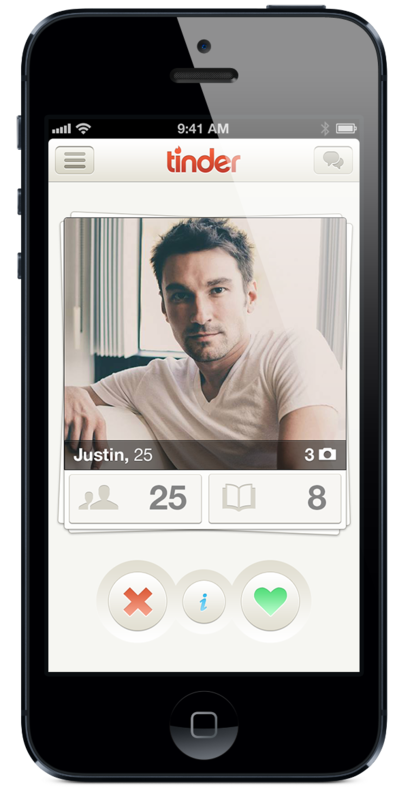 This is the modern reality made possible by the two hot dating apps of 2013: Tinder and Lulu. Tinder lets you simply swipe for your mate based on as little as an image. (Penning an online dating profile is so yesterday.) It shows you guys or gals (depending on your settings) within a certain radius, one photo at a time, and you swipe left (moving on) or right (approval) before it shows you the next potential partner. If you and someone else separately approve one another, "it's a match" on Tinder, and the app lets you chat. Since all you see — at most — are a few images, an age and a personal quote, judgments on potential mates are made at a rate of dozens of people a minute, depending on how fast you can swipe. "This is the most superficial thing I've ever seen," reads the quote of one man Tinder showed me, though I guess it didn't stop him from using it. Floored and fascinated as I was about the detachment and ease of Tinder, it's Lulu — another current fad — that has haunted me. 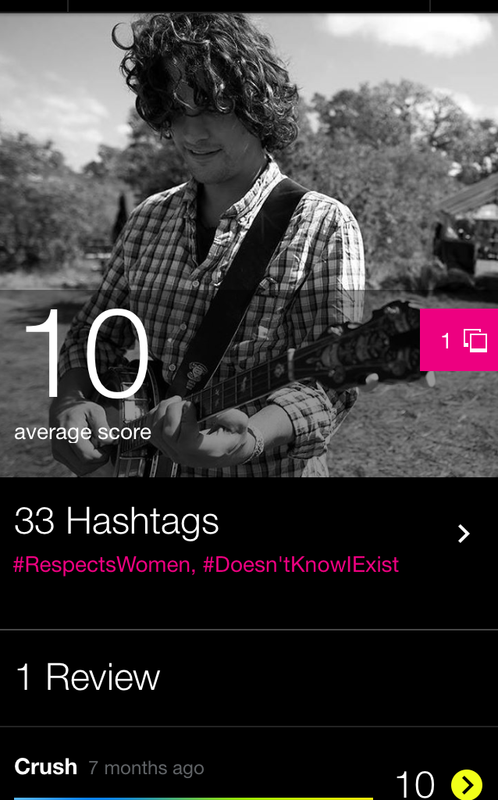 It's an app for girls only, and it shows you Yelp-like ratings of men you know. It requires you to log on with your Facebook credentials, to make sure you're actually female. Then, you can see how the girls rated these guys on looks, personality, money, charm and wit — and how they perform in bed. To rate the guys, you answer a set of questions that the algorithms translate into numerical ratings, and you choose from a list of predetermined hashtags to describe the men's best and worst qualities. Hashtags that fall under "best" include #OpensDoors, #LocalCeleb, #MrDarcy, #CuddlesAfter, #AlwaysPays, and more hip and double-entendre-filled options. "Worst" hashtags include #ShouldComeWithAWarning, #SketchyCallLog, #WanderingEye or the kiss of death: #OwnsCrocs. Nine months after it launched, Lulu counts more than 1 million users and estimates it reaches 1 in 4 college girls in America, according to New York Magazine. Tinder, since it is available for both sexes, is now a part of the zeitgeist, the fastest-growing free dating app in the United States, facilitating more than 4 million matches per day. "In some countries, Tinder users already number more than 1 percent of the country's entire population," Quartz reports. Its average user skews a little older than Lulu's — 27-year-old city dwellers rather than college students. Both have aggressively addictive appeal — yikes, my former intern is #rudetowaiters and has #bedroomeyes?!? This is how I descended into Lulu lurking, for hours. With wide adoption has come scorn for being superficial, anti-feminist and just mean-spirited. There have also been privacy problems — Tinder exposed sensitive location information of its users for weeks in the fall. Slate's Amanda Hess, in calling Lulu downright creepy, wrote: "This app asks women to publicly sexualize (#KinkyInTheRightWays) and shame (#BabyDaddy) the men in their lives without their consent. ... It's the textual equivalent of leaking your ex's naked pics to the Internet — it's not wrong because it's sexual, it's wrong because it's non-consensual." Putting aside those problems, my question is whether these apps actually help us arrive at meaningful romantic connections. Should they be called dating apps at all? They effectively open up a world of potential hookups, but if you're using them to find a match, their conceit — fixed rankings and quick-swipe shopping — puts up more barriers to love than takes them down. My friend Connor is a perfect 10, according to the person who ranked him on Lulu. If any of your past connections were governed by a mysterious, intangible chemistry and not first appearances, if you've fallen for someone you wouldn't think twice about swiping "nope" to on an app or came with a warning, you have to wonder whether we're programmatically ranking ourselves into a really limited set of choices. Then, there's the way relationships grow. One of the most romantic aspects of meeting someone and making a connection is how unknowable he or she is, at first. To use a "now" example, in Spike Jonze's lovely film Her, a lonely man played by Joaquin Phoenix falls for his operating system of the near future. Think Apple's Siri, if only Siri developed consciousness. It's a poignant portrayal of romantic, human love, even though one of the parties was not a human at all, effectively showing how a relationship can change you, and how lovers change each other. And that's the way it is, right? We are constantly evolving — different from one relationship to another. So the Lulu app is built on a fallacy that men are fixed, and then the app itself fixes these men on our dashboards with rankings and hashtags that stick. The operating characteristic of love is that you love "in spite of" — that sure, someone may be a #manchild or #crazyjealous or both — but you love him anyway, because that's part of accepting the complexity of another person, and accepting the complexity of love. What these apps do is reduce all context and complexity to numbers, hashtags and a profile image. It would be one thing if we were choosing celebrity crushes this way — they are remote individuals, almost universally attractive, who could garner rankings from thousands if not millions of fans. It makes the rankings statistically sound. It's another rather puzzling concept to think we're choosing potential real-life mates this way, letting the rankings of a handful of girls — a clearly insufficient sample size — determine an overall score and affix descriptive hashtags that don't go away. When we're ranking each other like restaurants, can we ever escape our mistakes? And if we don't bother to meet someone whose profile photo doesn't work, are we passing up some real opportunities for love?